One vendor has this plant for sale.40 members have or want this plant for trade. New Braunfels, Texas is in Zone 8a/8b. The Crown of Thorns stays outside all spring, summer and fall. I shelter the plant on a west-facing, protected porch for the winter and put up a frost cloth when it gets to about 35 degrees. Cuttings root easily. Let the plant heal over several days before placing the cutting in the ground. We have an anole (green lizard) that sleeps on the tallest spike every night and laps up the nectar in the flowers. I water it once a week and it get full sun most of the afternoon. Coastal central Florida. A tenant planted this years ago under a palm tree. It never gets watered , pruned or fertilized. Grows great without any care. Continues to multiply. I live in an area of low humidity with average annual temps from 28 to 110 degrees (F), zone 8. I've been growing two varieties of Crown of Thorns for 7 years (the largest plant is 4ft tall). The winters are too cold outside for the CofT's, luckily I have the window space to accommodate them during the coldest months. Nearly every time I've brought them in for the Winter these plants suddenly lose half of their leaves, but grow them back soon... perhaps this is some sort of stress response to the change in environment, it doesn't seem to really hurt them. Even though these plants are not frost tolerant, I've found that they only seem to bloom well if I put them out in the Spring early enough to experience about a half-dozen cool nights (e.g. In the mid-to-low 40's[F.]... read more). bought this plant for 1$ at our annual garden club sale. Love cacti and succulents. It has doubled in size in 6 months. Blooms continuously. Gets about 4 hours direct sun daily. Gets quite a bit of water from frequent summer showers and twice a week sprinkler system. It will come in for temps at freezing. We usually have several hard freezes a year. I live in NC zone 7. My COTs are outside in sun all summer. I put them in my greenhouse which is heated to 50* at night. I have 116 of them, yes 116 and still look for any I don't have. I am a COT and Christmas/Easter cactus addict. I love them. They are blooming like crazy 11/5/11, it gets hot in greenhouse from the sun, sometimes I have to open the door and run a fan when it gets to hot. Some of my Christmas Cactus are also blooming and getting buds. I put them on my carport out of direct sun all summer and up until frost warning so the will bud. I have them in my laundry room now that I heat only to 40*. I have started bringing a few at a time in so I will have a long flower season. I do trade so email me what you are looking for or for pictures. I need to l... read moreearn how to put pictures on here. Easy to grow and propagate. They do burn or freeze easily in cold weather even if the temps are not at freezing. The roots like to stay cool, and avoiding full afternoon sun hot areas is best. Put mine in garage to go dormant and drop leaves, then bring inside for winter. When taking cuttings, you must let the cut heal and dry for about two weeks like a plumeria before replanting, otherwise they will rot. Will get top heavy, so use a heavier pot. Likes to stay moist, but not too wet around the base of the plant. I've found in a taller pot, the plant does well sitting in water with no problems. This says cold hardy to 25 degrees, not in Central FL zone 9B. They will not come back if temperatures dip into the twenties for any more than a few hours. I've lost any that were in the ground. I now keep them in a huge planter pot and if the temperatures are going below freezing I put them inside the porch. Last year I had four potted plants and put them inside my shed, two nights with temperatures down to mid twenties for more than four hours still killed two of them. So the two I have left go inside when it is going below 37. Mine are all from rootings off my father's plants, they are very easy to propagate from stem clippings. They can grow in shade but won't bloom like they do in sunlight, but I've seen the leaves burn in too much sun. Morning sun and afternoon shade is the best. Don... read more't need very much water once established. I have had my Crown of Thorns for at least 10yrs. It stands 35in.from the soil. It has many branches and I'm always finding new ones starting here and there. The main stock is the tallest but because of so many others I stuck a thin bamboo stake in the pot and use plant velcro tape loosely to support any stocks I think need it. It has always sat between a south & west window on the cabinette in a breakfast nook.They both have overhangs but it still gets some sun and blooms great. In the winter I found if I place a warm air humdifier in it's area it not only stops leaf drop but blooms better in winter. I water it from the bottom approx. every 2wks. with a weak solution of plant food. After reading so many good comments I'm going to increase it alittle more. In the spring I put it in the sho... read morewer and really give it a good spray. 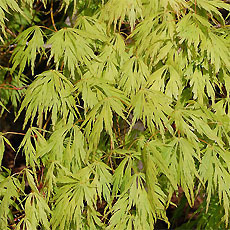 Two reasons: 1- to wash the leaves off really well and 2- to leach any built up salts, etc. I want to do one last repotting but I'm nervouse due to all the bottom stocks. If anyone has something to offer, I'd sure appreciate it. My husband keeps eyeing the size of the new pot. Hmm, wonder why? I love my crown of thorns. Purchased it 7 years ago as a baby-all of 5 inches tall. It's now over three-1/2 feet tall. Full of red flowers which bloom all year round. Just brought it inside for the winter...dropping a few leaves which is typical until it adjusts. Everyone who sees it cannot get over how healthy and full it is, not to mention its size. Couldn't be happier...just glad to hear it will max out around six feet. Getting it in and out of the florida room is a bit of a challenge. I water it when I think about it, but I do make sure it gets plenty of sun. Once spring rolls around it'll go back out on the deck. I love my Thorny plant .. the thorns are like hypodermic needles and the flowers are bold red. I bought it in FL when it was maybe 6 inch and transported back to VA .. in the 2 years that I have had it, it has grown over a foot and now has "babies" growing everywhere. The stalk is thick and hardy. I keep it on my balcony where it only gets about 3 hours of sun per day, and I water it every few days. I wish I could post a picture..it's a very nice plant. I call it my thorny plant .. I have had this plant for 10+ years and for about half of that time it was neglected and/or not in full sun. It always bounces back, and has been blooming year round for 5 years now in a good window. We remodeled and had to move it, but it is not flowering now and has to go outside. I live in North Carolina. 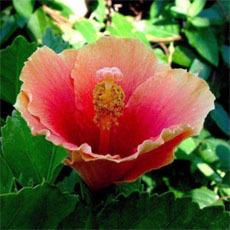 People grow this plant extensively in the Philippines, where it is hot and humid year-round and rains very often half the year. It doesn't seem to mind being continuously moist as long as it's warm. This plant brightens up my patio which has half a day of shade then blazing sun and occassional salty breeze. Owners in the building complain how difficult it is to keep any plant alive on their patio. With now a few cultivars of euphorbia on my patio, a pot of aloe vera, even my cattleya orchids can now grow well next to this protective euphoric color display. i wish i can give this plant some good news, but i can't. where i'm working at; we have some of these plants here, but what most people don't know that; is every part of the plant is poisonous. the leaves, the flowers, thorns, the bark and even the roots as well. The most beautiful and easy to grow indoor house plants I have ever had the joy of owning. I have always had it inside due to the extreme cold, extreme hot and extreme winds in my area and kept the children well away from it. This year I put it outside still in its inside pot. The wind ripped the beautiful flowers off right away and the big green leaves started to curl. Hubby looked at it one day when I was not around and thought it was dry so he watered it again. I later explained to him it was not dry but getting wind blown badly in the spot it was sitting, so he got the hand truck and moved it to another spot. Here is when we noticed the problem. When it was in the first location, some deer must have nibbled on the leaves, because some of them seem to have been snapped off next to but... read more not close to the trunk. I thought the wind had blown off the flowers, now I saw the deer ate them off. SO, how poisonous is this plant? Will I find deer a short distance from my home laying on the ground in a deadly state. Or will they just have the diarrhea for a while. This is serious and I would like a comment from someone that knows what part of this plant is poisonous and how poisonous it is to deer, chickens ect? Yes, we have since moved it to a fenced in area. I live in 10b Southern CA. My mother-in-law brought this crown of thorns to our home when she moved in. It was in a pot outside and rarely watered b/c it was on the side of the house where I never saw it. So it was totally neglected for 4-5 years or longer but it survived. Last year I decided to plant it in full sun with a drip hose to it. 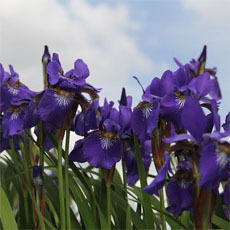 It has grown a lot and is about 2' tall & round and flowers continually year round. It is very beautiful. It seems to be able to survive on little water and in the heat of summer but loves being planted in the ground with regular water and lots of sun. I have two of these plants. Both are outside, full sun and in a terracotta pot. I placed a 3" plastic PVC pipe with holes in it, in the center of pot and planted around it. I water using a drip system which drips in the center of the PVC pipe. When our temps reach 110 - 115, I fill this pipe to the top, once a week. 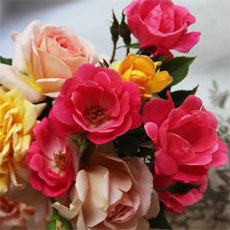 They are beautiful, full and lush with many flowers. I love this plant, i currently have two red ones, one is outside and the other is inside, they both get full sun, and they just never stop blooming!!! 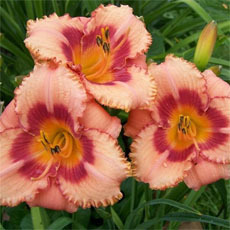 If you are having trouble getting them too bloom, i suggest moving them to a sunny window, with at least 5 hours of sun, also fertalize with a bloom booster fertalizer, that is about 10-60-10, one with a high middle number, over 50 is better! And then just watch it bloom and bloom and bloom, i cant wait to get the other colors! I am a beginner with this plant. Right now, I am not doing good. I have it indoors and in a north window. It does not get direct sun. All the blooms are gone and some of the leaves are dying. Help! Do I need to get it to a sunny window? or what? I picked up a couple of dying 3 inch plants from a produce stand about two years ago and they are marvelous! My plant is now about two feet tall and has three big branches and a baby that just formed. I had to cut a few branches off to make room for the new one, and not knowing anything about rooting hormone or letting them callous over before planting, I simply stuck them in dirt and watered them, and within about two months they had rapidly begun growing. People say to let them dry out before watering, but I just water every 3-4 days, and I have NEVER fertilized it. It's doing so well, I wonder how much better it would look if I DID. A truly fantastic plant. My husband has had a crown of thorns for more than the twenty years I've known him. He stakes his upright, but the ones I've seen at the Brooklyn Botanical garden are allowed to drape down a ledge. We keep it as a houseplant in a window with a half day of sun and it is perfectly happy. His flowers in intermittent bursts that appear seasonal. 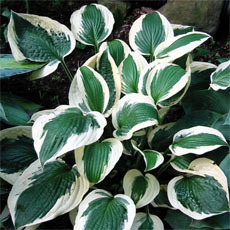 It is a slow grower, but has lasted longer than any other houseplant I have known. I just received a small crown of thorns planting grown from a cutting from my grandparents. I live in western Kentucky. My grandparents live in south Georgia and have kept it as a house plant. The original plant belonged to my great-grandmother who lived in Manhatten. Sharing cuttings among family and friends is an interesting way to be connected across the ages and the miles! I have had my plant now for abour 4 years. My grand mother rooted it for me from her plant, and I have since rooted 3 babies from mine. 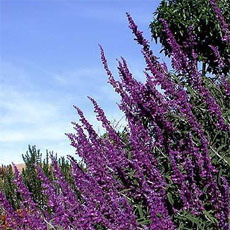 The mother plant stands about 2 and one half feet tall, but only about 6 inches wide. It is so long I had to put a stake in the pot and tie the plant to it so it would stand. Is this common? I have 2 of these guys as houseplants. No special care. No special fertilizer ( I use a very weak liquid fert. every time I water). Sunny window. Always in flower! Nice. I planted one in Carbon Canyon Ca, 91709, My soil was very alkyline. I watered it rarely, it grew fairly fast to a hight of 4ft and as wide. My parents had 2 in Anaheim, Ca 92802, sandy soil, and was rarely watered there, in 40 years it still stands at 6ft. I've several varieties of Crown of Thorns. They can be slow growing but put out a bunch of flowers. It is also one of my favorites plants because it never stops blooming! Crown of thorns come in hybrids with yellow, white, pink or red bracts. 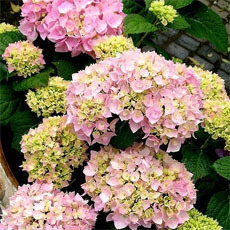 There are other hybrids with hydrangea-like bracts that can be bicolored and they are absolutely brilliant. I have two of these plants that have been house plants for about 30 years. One of them even seeded a new one for me. They are now in church, with a few cactus, as part of a Lenten display; very effective. This plant does good here in Fontana, California. I keep it in the sun potted. I use aerated compost tea made with alfalfa, kelp, fish emulsion, compost, green sand to foliar feed (once every 10 days), 1 cup of tea to 4 cups of water and soil, alternating from diluted tea to plain water to Peters Bloom fertilizer at 1/4 strength- anytime I water. get rid of any excess salt. (Diluted tea-water-Peters-diluted tea-water-Peters-leach)works for me! I have two plants both in pots in the full sun outside. I have not seen any flowers, and the leaves are losing color they are not as green as when I had them in the house. I do not over-water but I must be doing something wrong. I live in Dallas so the heat is pretty intense. This plant was sold to me with the presumption that it could handle harsh environments both the heat and cold. When we had our first cold snap I started looking around on the internet to find out more about them. They had already withstood a terrible drought earlier this year and I was impressed at this point because they still looked beautiful. After the cold snap they started withering and looking very sick. On this web site I finally found information on the zones that these guys do well in and if I remember correct 9A or 9B is the coldest. 1. use a sharp clipper and cut about 6 inches back from the meristem (point of growth). 2. The plant will bleed a white latex-like substance, it is poisonous so do not touch it. 3. Allow cuttings to dry for roughly 3 days before planting. A rooting hormone will help significantly. 4. Do not lose hope, eventually your cuttings will root. This woody semi-succulent from Madagascar is not the one used during Christ's crucifixion, despite claims to the contrary. 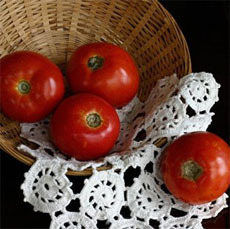 Very popular in Thailand and other Asian countries where it is believed to bring good luck, there are an astonishing number of hybrids and cultivars, although only a limited number are available in North America. Thick, sprawling stems support long thorns and oval or lance-shaped leaves. The "flowers" are in actual fact showy bracts. This plant will flower better in full sun, but will probably suffer from burnt leaves. Misting in the afternoon can help overcome this problem.